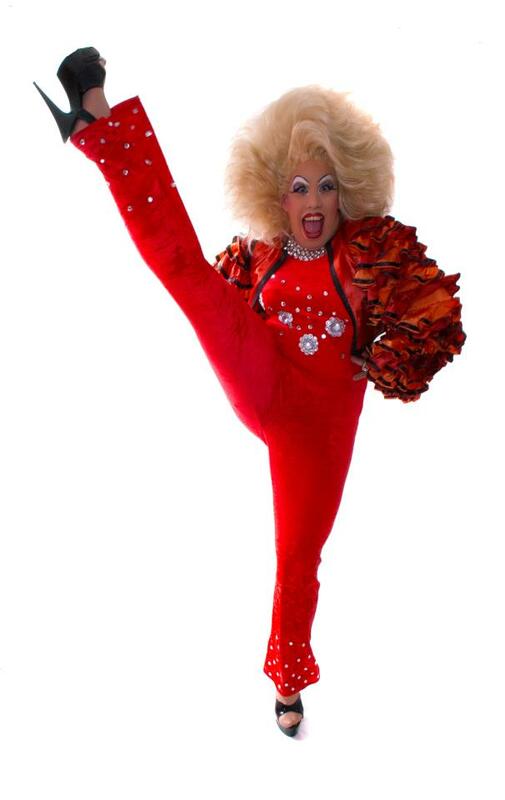 This Lady, (term used very loosely) is an experienced drag act that works all over the country, from Cornwall to Blackpool and anywhere inbetween. Ladies nights, Djing, Hosting, Parties, Weddings. Her tongues quite sharp so if you want a bit of vileness mixed with glamour and outrageous humour, consider booking me. Yes I said "booking"
This girl has been working up and down the country hitch hiking with truck drivers for a few years now, gaining her experience from watching her peers and, listening, observing, and taking advice from some of the top uk and international circuit drag queens. Always striving to give more and the best, you'll get your money's worth from her. If your unsure, or need some guidance and apprehensive about putting on an event, then your in safe hands as I'm always happy to give advice or help wherever I can. I Can travel anywhere but the travelling will usually have some bearing on the cost. Absolutely fantastic drag artist, couldn't of asked for anything better. Would recommend to anybody :) brilliant dj as well. Defiantly 100/100. How impressed we were with the Drag Queen who came to do my wife's 50 the Birthday party - absolutely amazing and clever routine with a great voice and presence, we will be using your agency again as will all our very impressed friends - well done all! Felt I needed to email you to thank you for a wonderful entertaining night on Friday. The rave reviews from all that attended proved what a success it was. You were quick witted, hilariously funny and the way you brought the rugby boys in on the act was a very clever thing to do, proving extremely popular with the audience. You are a true professional and as many of us had not seen such an act before we are now hardened fans. We would not hesitate in using you again or recommending you. My wedding was over two years ago now and I think that this drag queen has stuck in everyone's memories!! She was hilarious, adult humour at its best and the costume was fabulous. She walked in just an average guy and when the performance started she looked amazing. It made my wedding different from any I had known with a massive injection of my favourite entertainment, I certainly wasn't disappointed. I might get married again just to rebook!!! This entertainer was amazing. Very funny and involved everyone. I would definitely use him again and highly recommend him. His disco was also excellent. What an amazing night thank you so much. All of our customers thanked us for such a great night. Everyone was in hysterics at the act and then danced the night away. She was very professional and easy to work with, he was more then happy to do what we wanted and needed for the night. Absolutely brilliant!!! HM Armed Forces including The SAS!